WASHINGTON — The Department of Veterans Affairs told skeptical lawmakers Tuesday it has already fixed problems with its suicide hotline that were highlighted in an internal watchdog’s report released just two weeks ago. A March 20 audit by the VA inspector general had found that nearly a third of calls to the Veterans Crisis Line as recently as November were bounced to backup centers run by an outside contractor. The rollover calls happen when phone lines are busy, leading to possible waits of 30 minutes or more. 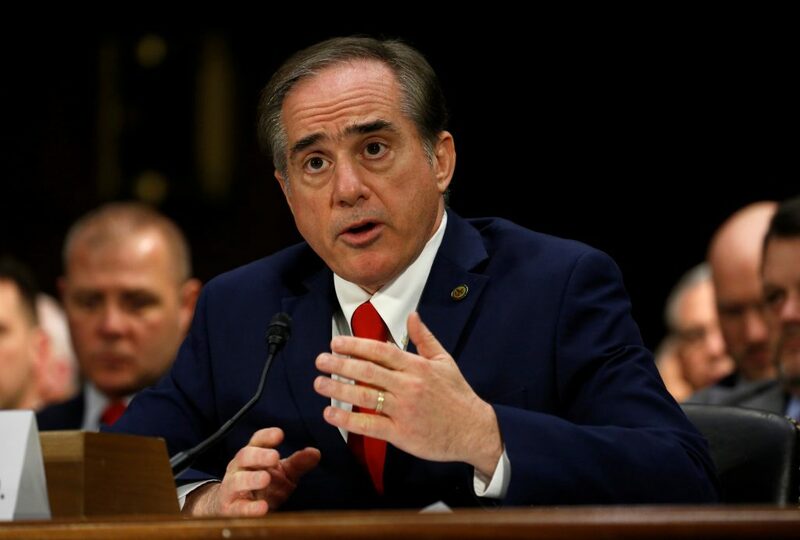 It was unwelcome news for VA Secretary David Shulkin, who has made suicide prevention a signature issue at the troubled agency, riven with scandal since reports of delays in treatment at veterans’ hospitals last year. Approximately 20 veterans take their lives each day. Testifying before a House panel, Steve Young, VA’s deputy undersecretary for health for operations and management, pointed to a dramatic turnaround in calls answered by the hotline since November, indicating that the most serious issues have been resolved. Calls to the Veterans Crisis Line that rolled over to backup centers steadily declined from 31 percent in early November, to just 0.1 percent as of March 25, according to internal VA data released Tuesday. That came despite growing workloads in which weekly calls to the hotline jumped from 10,558 in November to 13,966 last month, the VA said. As recently as mid-December, when the IG was finalizing its audit, the share of rollover calls had declined close to the VA’s goal of 10 percent. That figure dropped to less than 1 percent by early January, according to the agency. Shulkin, who previously served as VA’s top health official, has also described the issue as resolved. “Fixing the Veterans Crisis Line was a critical step in keeping our commitment to veterans,” he said in a March 21 statement. That drew some sharp retorts from lawmakers. Minnesota Rep. Tim Walz, the top Democrat on the House panel, pointed to “re-occuring issues we see time and time again at VA” that were identified by the IG, such as poor training, weak leadership and lack of clear procedures. The crisis hotline has operated without a permanent director for more than year. Approximately 20 veterans take their lives each day. VA inspector general Michael Missal said he cannot confirm the VA’s latest data, but emphasized that the Veterans Health Administration had not implemented any of the IG’s proposed improvements, dating back to February 2016. The department had previously “concurred” with the report’s March 20 findings. “Until VHA implements fully these recommendations, they will continue to have challenges,” he said. Missal also identified fresh problems, such as inadequate procedures to measure the hotline’s success in thwarting suicide attempts. Launched in 2007, the crisis hotline has answered nearly 2.8 million calls and dispatched emergency services more than 74,000 times, figures show. Featured in a documentary that won an Oscar in 2015, it later received negative attention after its former director reported frequent rollovers due to poor work habits. Last year, Congress passed a law requiring that all calls and messages to the hotline be answered in a timely manner. The most recent rollover problems appear to stem from the VA’s opening of a second call center last October. Spurred by veterans’ complaints, the IG said the department launched a follow-up review to its February 2016 audit in which the VA promised to make improvements by last September. Instead, it found many rollover calls, due in part to the VA’s decision to divert some staff from its upstate New York call center to help train new workers in Atlanta. The IG suggested the Atlanta center was slow in becoming operational, but the VA says that rollover calls in fact began to fall significantly as workers became trained. It wouldn’t be the first time the VA disagreed with auditors. 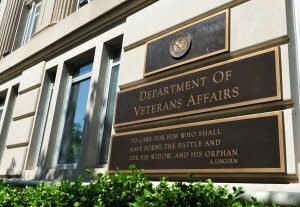 Both the VA inspector general and the Government Accountability Office previously found the department’s figures on wait times for medical care to be misleading, which the VA disputes. The GAO still lists the VA as “high risk” for waste, fraud or mismanagement. The Veterans of Foreign Wars organization said the latest VA data might be accurate, but said it was worried that the agency sometimes focuses too much on metrics — the number of calls received and handled. It urged better call monitoring to improve training and service. “The VFW believes that while the number of calls going to backup centers decreasing at such a rapid rate is a positive, it is not a sign of the quality of work being provided,” said Kayda Keleher, VFW’s legislative associate. WATCH: Can science make diagnosing PTSD less of an ordeal?